James Paul Jozwiak was named the P&BA Man of the Year for 2008. The announcement was made at the General Membership Meeting on March 4, 2008. Jim and Christine have been married for 40 years. They have three sons, two daughters-in-law, and two grandchildren: Jim and Deb; Cliff, Sue, Megan, and Christopher; and Shane. 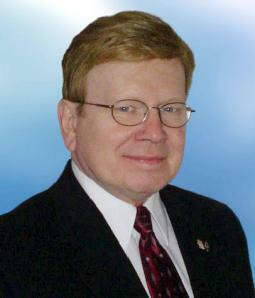 Jim founded Christian General Contractor in 1975. It is now a family business with Christine and their three sons. Jim founded and serves as Executive Director of the Polish Heritage Festival, Inc., a non-profit corporation, which, for five years, has sponsored an event that has attracted thousands of attendees and funds scholarships to college students, and charities in the United States and in Poland. Jim is the National President of the Polish Union of America. The Man of the Year is the highest recognition that can be bestowed upon a P&BA member. Jim is the 48th member to be so honored in the P&BA’s 105 year history. The Board of Directors and the membership congratulate James Jozwiak for his achievement. He will be honored at the annual Past Presidents/Man of the Year banquet to be held in October.